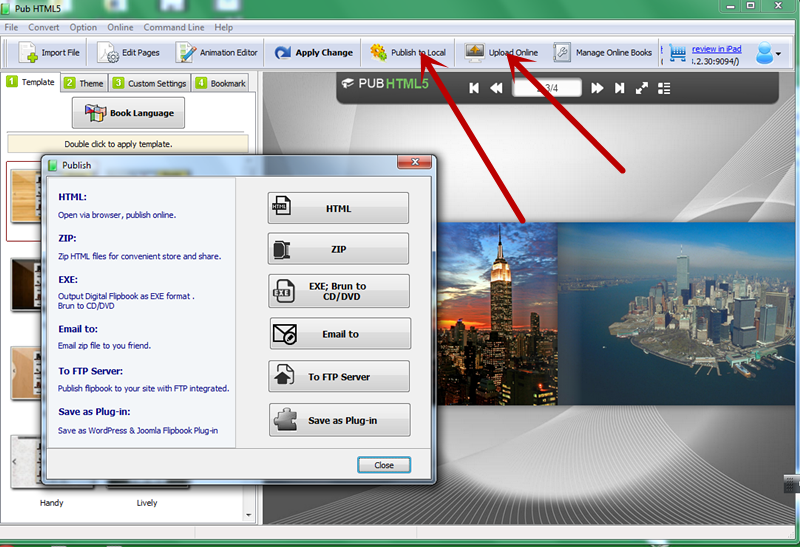 Convert photos, images to digital publication. 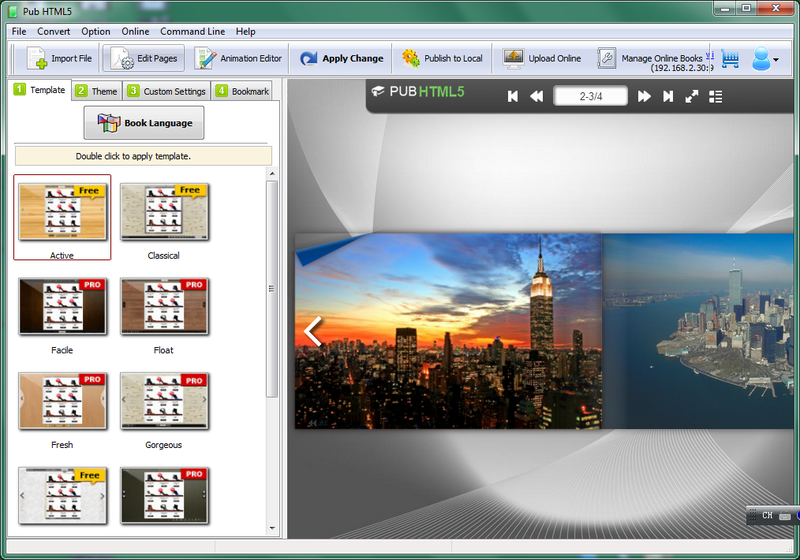 The very software helps you convert your originally messy images into an organized fabulous digital book. Want to convert your originally messy photos or images into a single organized appealing digital book? The PUB THML5 fulfills your expectation. Beside the use of creating digital business catalogues, the software also works on turning dull images into a vivid digital book to better meet the aesthetic demand of viewers. Potential users of the software include both individuals and business enterprises. Numerous designing tools are available to help users personalize their ideal publication. After importing the image files to become a slide book, which will be the first stage of your creation, you may edit the page and insert audios, videos, flashes, links and other rich media according to the way you find good. No special programming knowledge is required. Several types of formats are available for you to choose to save your project so as to meet the demand of different usage. Online and offline publication can both be realized with appropriate project format. If you want social shares of your images to be tremendously boosted, no options would be better than the PUB HTML 5 specially originated. 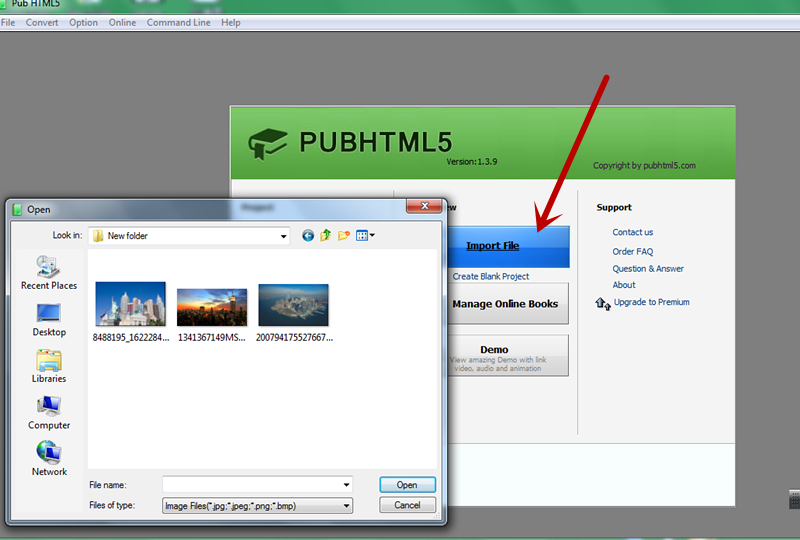 To meet the demand of different electronic users, the PUB HTML5 is designed to export your project which should be compatible to nearly all the electronic devices including PC, Mac, tablet, iphone, ipad, etc. Now try it! Use your own imagination to customise your own fabulous digital books of images! !